Internet access has grown significantly in Egypt since over the past decade, and it reached 23.5 million user in Jan 2011. Internet access has grown significantly in Egypt since over the past decade, and it reached 23.5 million user in Jan 11 (the biggest volume in the middle east), thanks to a number of government and private sector initiatives. However, e-commerce is still at its infancy stages in Egypt. Lacks of consumer confidence in online transactions as well as the lack of a clear legal platform are some of the factors attributed to the dismal performance of ecommerce in Egypt. The ministry of communication and information technology was created in 1999 with the primary mandate of upgrading the country’s telecommunication infrastructure in order to create a formidable information technology industry. Egypt has both Business-to-business (B2B) and Business-to-consumer (B2C) ecommerce. 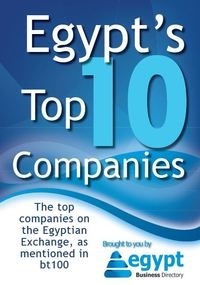 As at 2003, only about 250 out of an estimated 5000 Egyptian based websites were dedicated to ecommerce. Of these, only 20 had established a strong online presence. By 2004, LinkDotNetc (the market leader owned by Orascom telecom) acquired control of about 12 sites. However, thanks to initiatives undertaken by ecommerce online portals like souq.com, a number of small and medium enterprises as well as large corporations are starting to dialogue with their clients online. These businesses are using various online channels like social media tools and search engines to promote their products. According to statistics, less than 20% of local brands have any kind of online presence either in the form of a website, online marketing and online campaigns. This has lead to Egyptians wishing to do online transactions to turn to foreign vendors with sophisticated online secure and fast transaction capability. For instance, in 2009, 58% of online transactions done by Egyptians were from foreign ecommerce sites majorly from Europe and North America. In overall, there is an exponential growth of ecommerce in Egypt with websites like mymemall.com. taking advantage of the rapid internet penetration along with other factors like the easing traffic congestion and developments in the ICT sector to market their products. Of significance with this website is its ability to allow customers to use International merchants like PayPal when transacting business with it. Also, the new generation of young Egyptians is taking to modern methods in order to access different services and products making online shopping and ecommerce a fast growing venture. Abdulrahman is an egyptian enterprenure, interested in the internet business sector, with a computer engineering background.